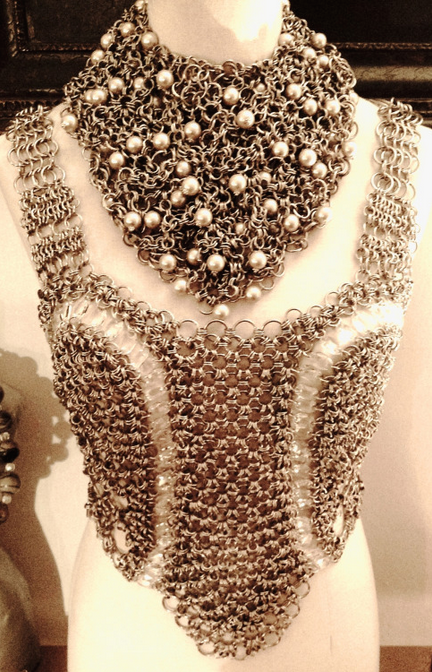 These stunning chain mail pieces prove this ancient art form is not just for knights! 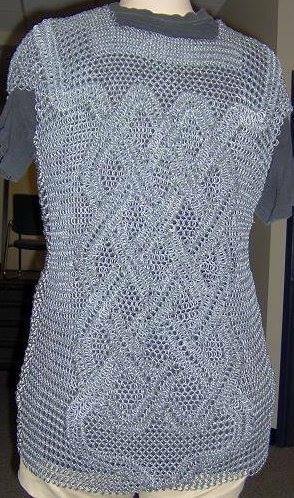 When most people think of chainmaille, they probably first think of the mesh shirts worn by medieval knights. But there is much more to this ancient craft. It can be colorful and edgy and elegant … and it’s virtually limitless in its versatility. From Canada to the Netherlands to Argentina, the artisans below have combined tiny metal circles to create pieces that will surprise and awe you. And yes, everything you see here really is made by hand, one ring at a time. 1. Dave Austin’s chainmaille sculptures are unreal, including chess sets and baskets. 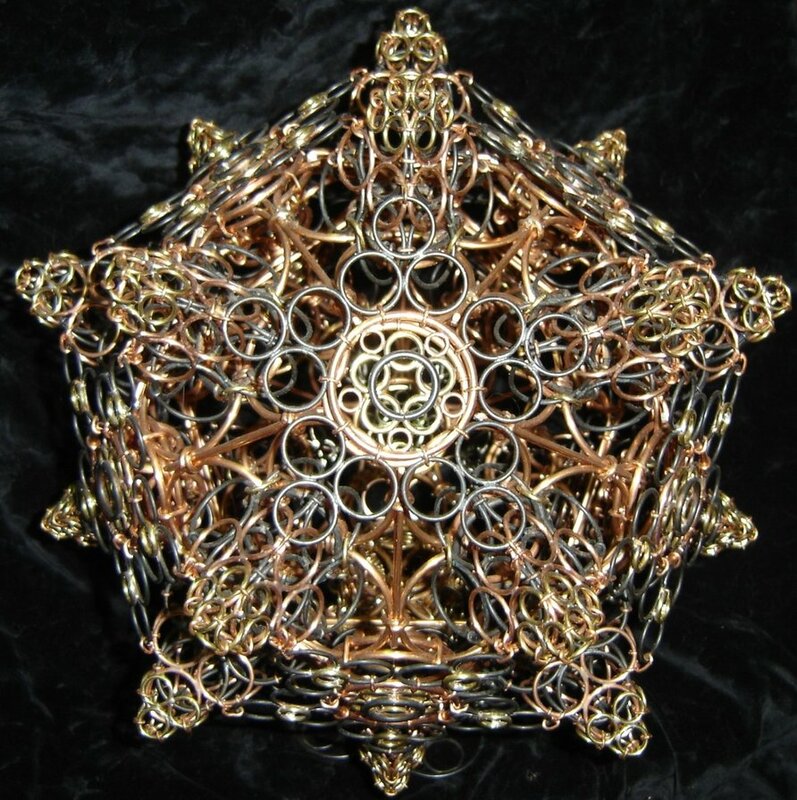 Visit Chainmaille Basket to see more of his work. You will be wowed. 2. Poseidon’s Embrace necklace by Blue Buddha Boutique founder Rebeca Mojica features more than 14,500 individually linked titanium and stainless steel rings. Each ring’s inner diameter is is 1.2 mm. She has also created the Sears Tower out of chainmaille, because, why not? See more of this Chicago artist’s work at RebecaMojica.com and Rebeca Mojica Jewelry on Facebook. 3. 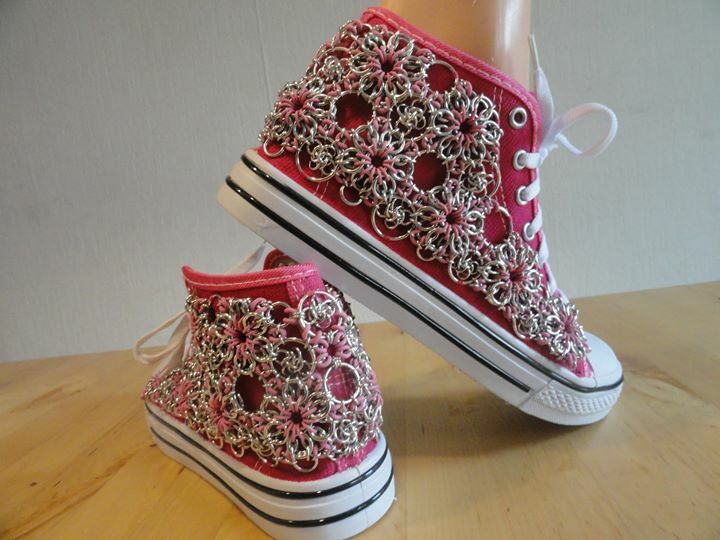 Dutch artist Miecaéla Numan took some pretty cool sneakers and made them AMAZING by combining metal rings with rubber O-rings. See more of her work on her Chainvmail’s maliën page on Facebook or visit her website, chainvmail.com. 4. 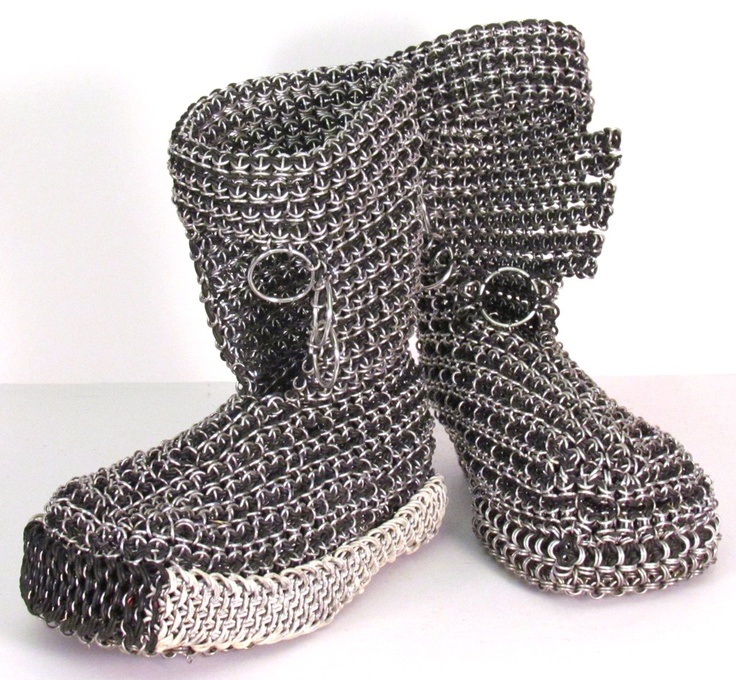 If shoe decorations aren’t your thing, how about an ENTIRE BOOT made of maille, like what Keith Barch has created? 5. 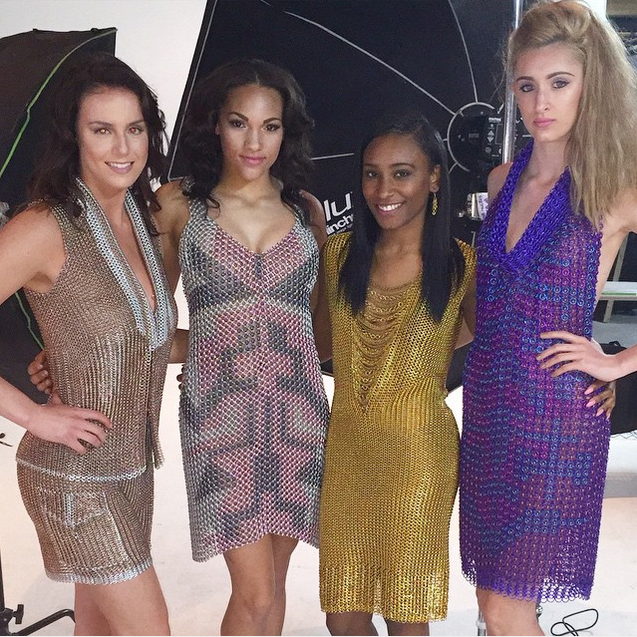 We are in love with the amazing chainmaille dresses created by Lia Mira of House of Li Jon. She taught herself to maille a mere 4 years ago, which makes these even more impressive. 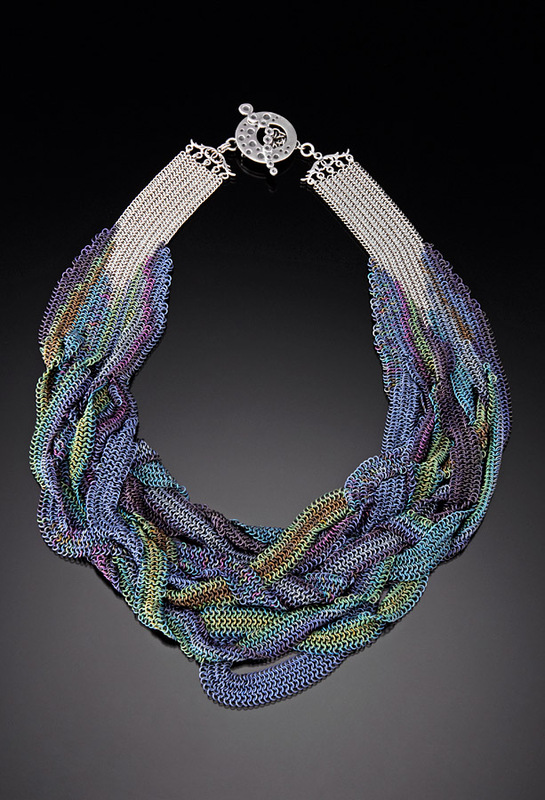 She creates individual art pieces to showcase her vision of a new style of jewelry couture. View more of her drool-worthy work on her website, HouseofLiJon.com and on her colorful House of Li Jon Instagram feed. 6. Chicago artist Sky Cubacub has created a bubbly statement necklace out of lightweight aluminum. For more photos and information about this necklace, see her One of a Kind Japanese Lace Necklace Collar listing on Etsy. To see more of Sky’s work, including her amazing Repetitive Motion video (which she made when she was a senior in high school! ), visit Sky’s website: SkyCubacub.com. 7. Argentinian designer Il Nero Accesorios specializes in creating daring and unique designs. 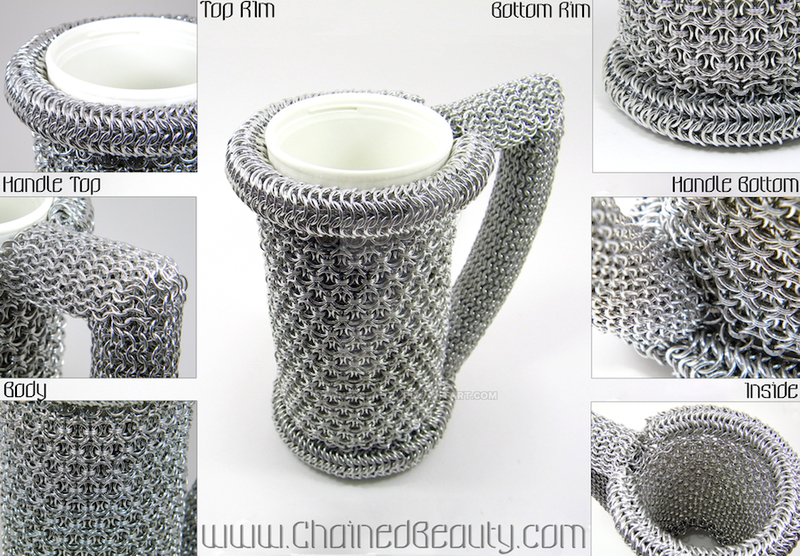 At first glance, you wouldn’t even think this is chainmaille. 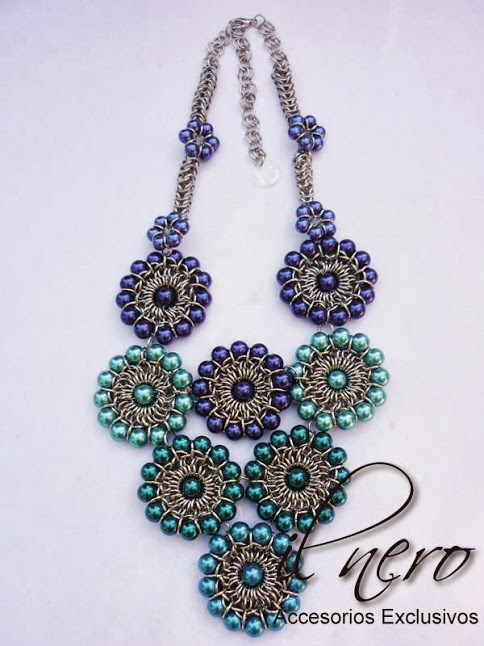 See more of Il Nero’s work on the Il Nero Accesorios page on Facebook or on the ll Nero Blog. 8. California artist Daisy Kwan created this mind-bending bracelet. This hypnotic weave is called Moorish Rose and is challenging even for advanced chainmaillers. Daisy took the weave one step further by adding beads. For more information on the weave, see her Moorish Rose Bracelet blog post. To see more of Daisy’s work, visit her website DaisyKreates.com. 9. Luis Vallejo de Courbelle (Clovis to his friends) specializes in exclusive jewelry combining metals, pearls, crystals and half-precious stones. This bodice and necklace are embellished with Swarovski crystals and pearls. View more on the Clovis Joyas Tumblr or his website, ClovisDesignJoyas.com. 10. This Chainmail Sphere by Catherine Hamilton is woven from aluminum and copper rings. 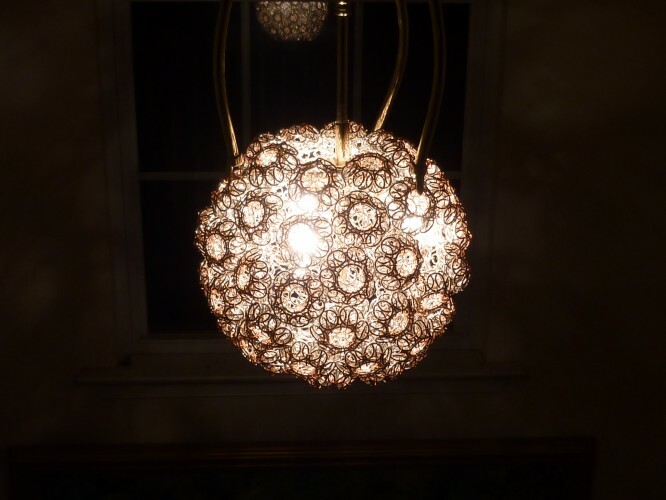 It includes a hatch through which to change light bulbs, and is a fully functional chainmail light fixture. To see more of her creations, visit her website at SilverArtGlassJewelry.com. 11. 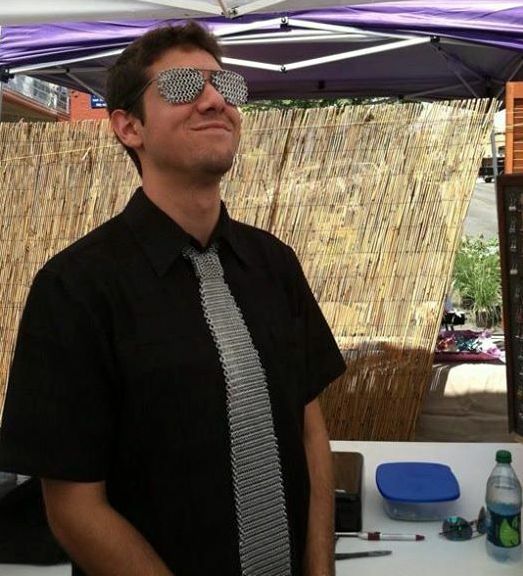 Weaver Kyle Stuart created aviator shades and a tie using more than 3,000 rings. And for those who are curious: yes, you can see out of chainmaille glasses–it’s kind of like looking through a screen. No UV protection, though; it’s strictly for fashion purposes. But you’ll be the most fashionable person around with these shades! 13. We weren’t able to track down much information about this chainmaille “sweater,” other than it is 30 years old (!) and made out of galvanized steel. (“Not much choice in materials thirty years ago.”) It was posted to Facebook by user Nazrat Bunglelord. 14. Duane Leicht (below, right) spent about 600 hours and used nearly 75,000 rings to create this football jersey. 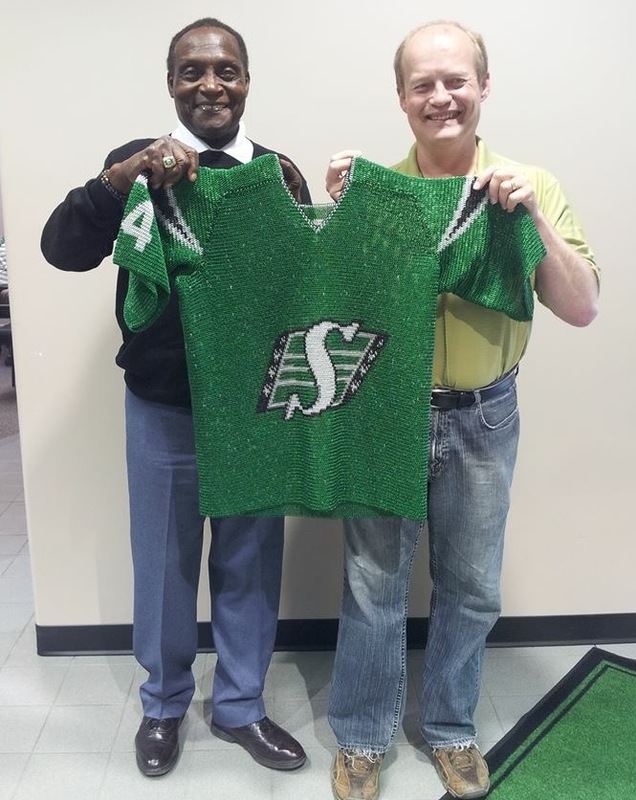 The number and name are George Reed (shown at left) of the Saskatchewan Roughriders. He’s worn it to more than 20 games, and even opponents’ fans come over to take photos! 15. West Virginian Michael Lewis made Horton the Elephant as a gift for his wife. 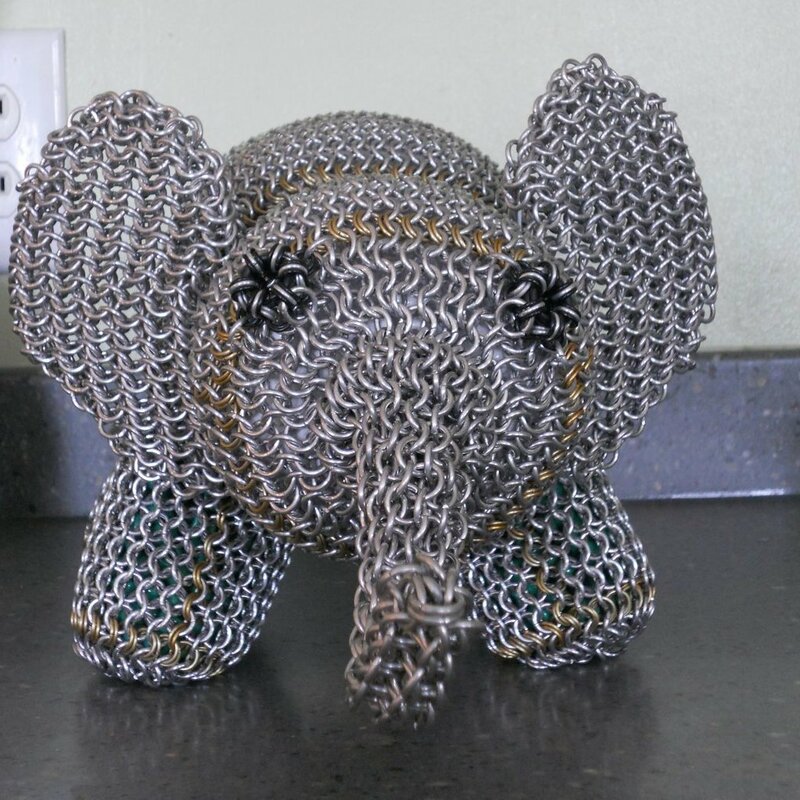 The elephant is made of aluminum and filled with plastic beads. For more info, see his website, under the name Telperinon, on Deviant Art. 16. At first glance this piece, titled Sauron, by German weaver Heinrich Zinndorf-Linker, appears to be a wreath – a simple giant ring. 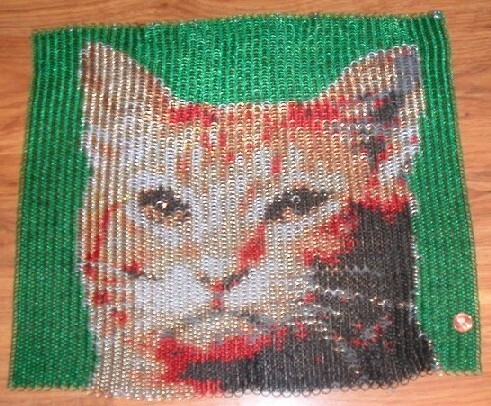 But a closer look shows how genius this piece is. 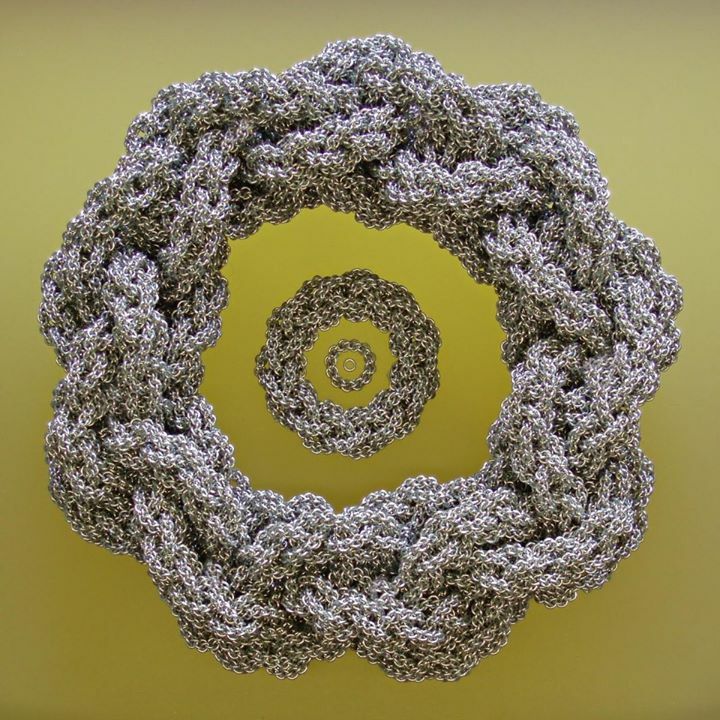 It’s a ring, made up of rings, made up of rings … made of 32,075 rings! Fractal chainmaille? Yep! For more details, see his post about Sauron on Facebook. More of his work and tutorials can be seen on ZiliMaille on Facebook, or on his website Zili.de. 17. This dragonscale weave chainmaille corset was made by Marc Palan, aka WaistedSpace on Deviant Art. Nearly 5,000 aluminum rings were used to make this piece, and it took more than 200 hours due to the intricacies involved with creating a body-fitting garment. 18. 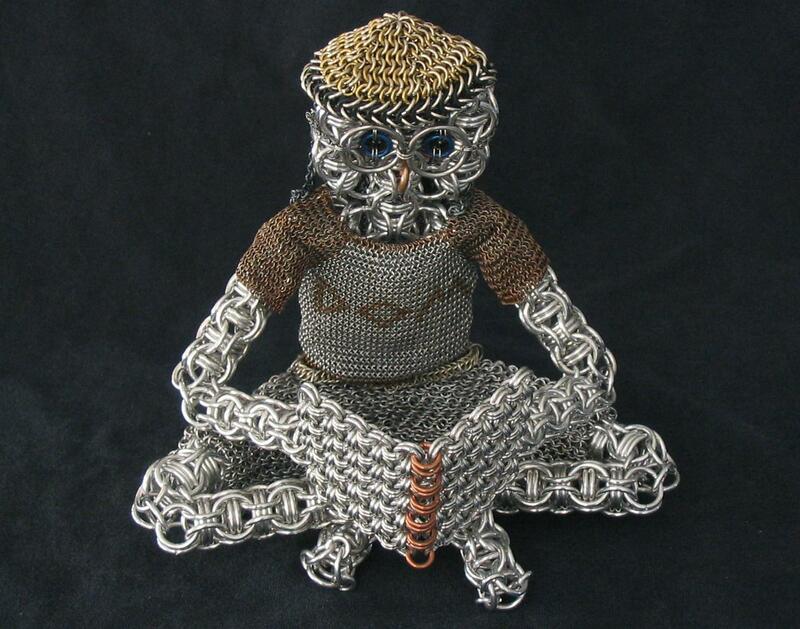 One of the pioneers in chainmaille “inlays” is user Chimney Duck of MailleArtisans.org. He is known for his realistic inlays of animals. From what we remember from posts years ago on chainmaille forums, he weaves these free-handed, meaning he doesn’t use a computer-generated program, coloring paper, or any other pattern to help him know when to switch colors. Amazing! 19. 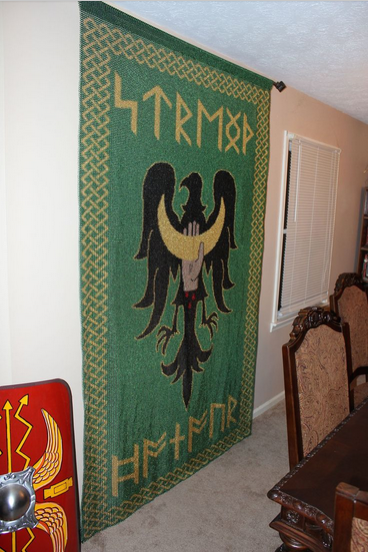 This epic floor-to-ceiling heraldry banner was created by Thomas Riley. Unfortunately his website, The Medievalist, suffered from a complete data loss, so we can’t link to his blog posts showing his progress on this piece and detailed statistics. But even so … just take this in for a moment. So. Many. Rings. 20.Though this Globe of Circles has some welded pieces, so it isn’t strictly chainmaille, it is nevertheless mostly chainmaille (and, either way, you look at it, composed of tiny metal circles). Artisan Shane C (aka Rescyou of Deviant Art) has an entire series of these fascinating geometric sculptures. Just one shape. Infinite possibilties. Which of these are your favorites? Leave us a comment below to let us know. 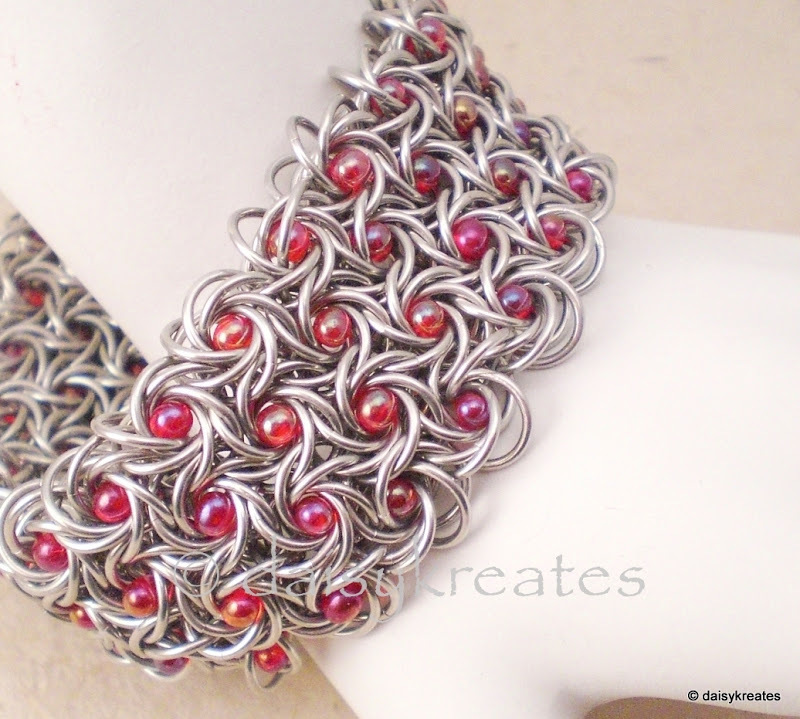 5 Comments on "20 Epic Designs That Will Change How You Think of Chainmaille"
I didn’t know that there were so many different types of uses when it comes to chain maille. When I hear it I think of Medieval Knights battling out, but the jewelry is beauty, and cool looking. I think it would be cool to get something like that for my mom. All of them are just crazy amazing!! !